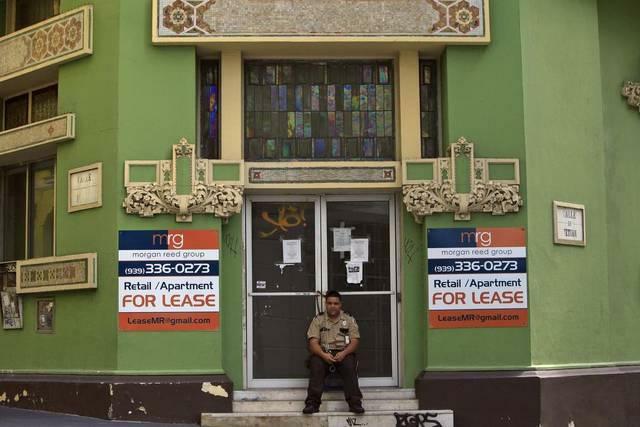 A security guard sits in front of a shuttered business in San Juan, Puerto Rico. Besides economic despair, these Caribbean exoduses have another trigger in common – political callousness. 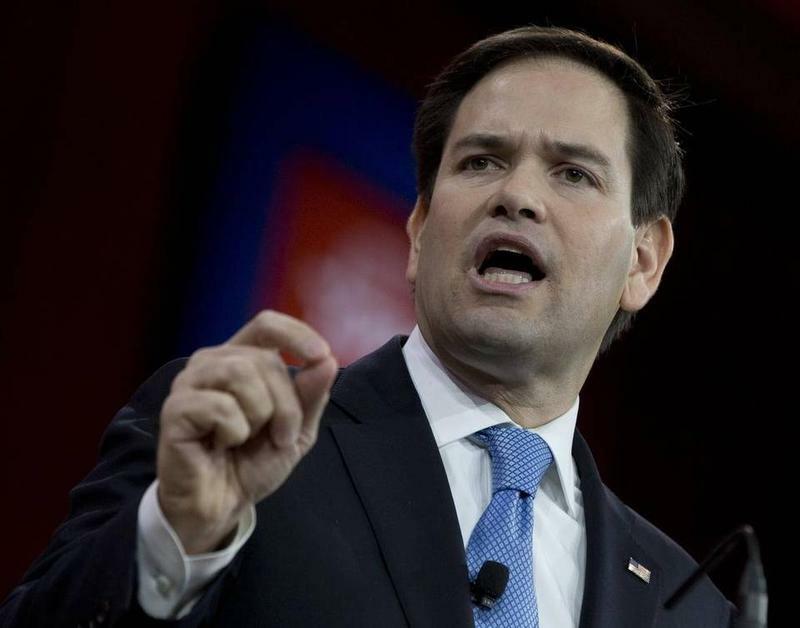 In fact, as Puerto Rico and Cuba struggle, U.S. politicians like Florida Senator Marco Rubio have often looked as dogmatic as the communist politicos they so often denounce in Cuba. Two things make Cuba’s economy so ragged. One is the U.S. trade embargo. But the bigger cause is the dogged but dog-eared socialist ideology of the island’s geriatric leadership – which dug new trenches at the Cuban Communist Party Congress last month. According to reports in Cuban state media, hardline delegates to the congress canceled one of President Raúl Castro’s key free-market reforms: licenses for private wholesale food distribution. Cuba experts fear the move could exacerbate food production shortfalls in a country that already imports 60 percent of what it eats. On Puerto Rico, Rubio and U.S. conservatives seemed as determined to prove their fiscal hawk credentials as communists were to demonstrate their Marxist bona fides in Cuba. The logic behind the decision was more political than economic. The effect that may have in further emptying Cuban pantries will probably fill up more Cuban rafts heading for Key West. Puerto Ricans don’t brave the waters of the Caribbean; they land in Orlando on airliners. But the tropical desperation they’re fleeing – Puerto Rico’s hospitals have suffered prolonged blackouts in recent weeks – is no less real. And neither is the Beltway cynicism that’s aggravated it. The biggest obstacle to Puerto Rico’s recovery is an absurd piece of 1984 federal legislation – so absurd it recently gave John Oliver 20 minutes of satirical fodder on his HBO show “Last Week Tonight.” It blocks the island, a U.S. territory, from seeking the Chapter 9 bankruptcy protection that U.S. governments from Detroit to Orange County, Calif., have used to reorganize their finances. Last year Rubio and Florida Senator Bill Nelson joined the movement on Capitol Hill to bring the Isle of Enchantment and its 3.5 million people back into the Chapter 9 shelter. That is, until Rubio got disenchanted – shortly after he became a Republican presidential candidate, when his own political dogma seems to have vetoed economic sense. Suddenly, Rubio the Tea Party darling dropped his support for bankruptcy relief in order to pick up support from the Republican base. He pasted Puerto Rico as a liberal spendthrift forcing America to cough up a multi-billion-dollar taxpayer bailout – even though bankruptcy protection wouldn’t cost U.S. taxpayers a dime. Granted, Puerto Rico’s leaders deserve all the what-were-you-thinking?! condemnation they’re getting for having accumulated the $75 billion debt that’s now strangling the commonwealth. But Puerto Rico’s conservatives are culpable, too – and so are Wall Street bondholders, who’ve lobbied fiercely to block Chapter 9 for Puerto Rico because they face a financial haircut if the island restructures its obligations. Still, Rubio – the Republican presidential hopeful – ended up siding with those interests, and so did a lot of other congressional conservatives. They seemed as determined to prove their fiscal hawk credentials as Cuba’s communists were to demonstrate their Marxist bona fides. Ideology trumped economics. On-the-ground realities be damned. 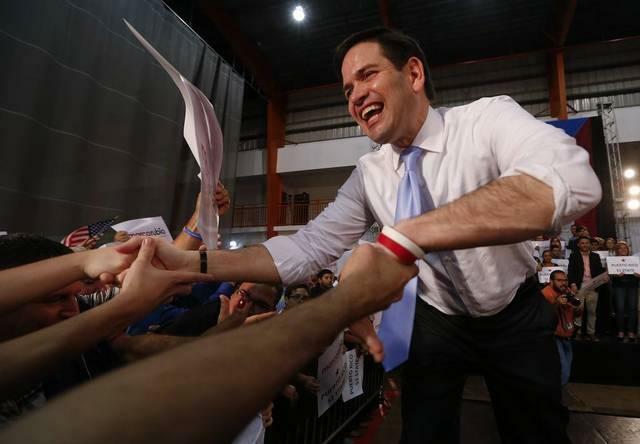 Florida Senator Marco Rubio campaigns in Puerto Rico in March during his failed 2016 presidential bid. 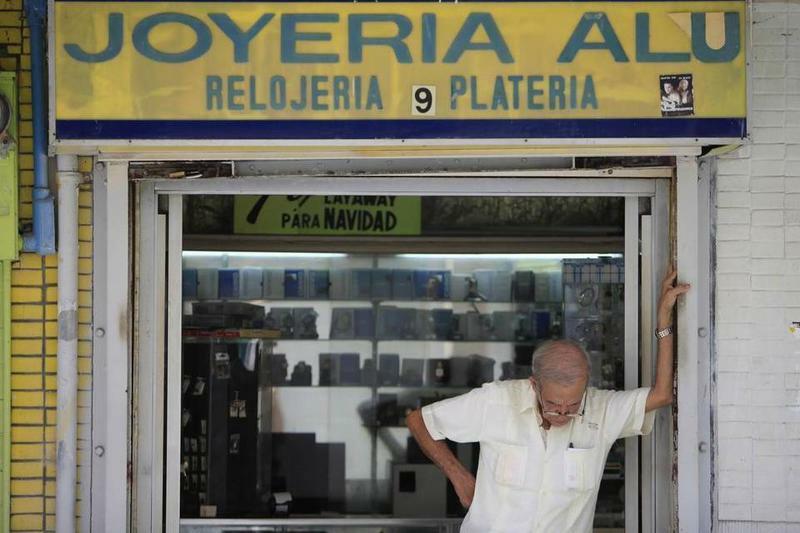 So Puerto Rico’s urgently needed bankruptcy protection has gone nowhere. But now that Rubio’s presidential ambitions are dormant and he’s a full-time Senator again, Puerto Rico’s worsening mess has him calling on his colleagues to come to its aid. Welcome back to governing, Senator, instead of groveling. But it’s probably too little too late. So it’s just as well that Rubio isn’t running for re-election in November. He’d face a lot of angry Puerto Rican voters in Florida. And more keep coming. Yes, yes, Cuba is big news. President Obama’s Wednesday announcement that the U.S. will open an embassy in Havana was historic stuff. And yet – I can’t shake the feeling that the more important story out of the Caribbean this week is Puerto Rico’s financial collapse.